This title is directed primarily towards health care professionals outside of the United States. It guides the decision-making process using a system of assessment that identifies those patients who need immediate life saving treatment and those who need hospital care. 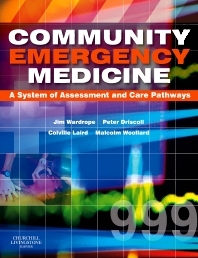 The book also concentrates on the assessment and management of the patients who will be managed in the community. It connects emergency care with the community and secondary care and places it firmly in the context of patient care pathways.